I often end up with overripe bananas, that usually find their way into one-bowl type of cakes. As this time I was planning on making yeast dough roulades, I’ve decided to see how they would work in this type of dough. The result exceeded my expectations, and I have no doubt I will use this “trick” again. 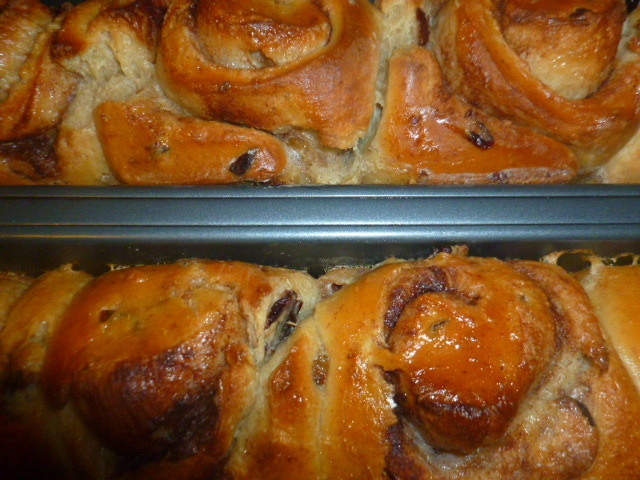 The mashed bananas gave the dough a wonderful soft and silky texture, and amazing aroma. 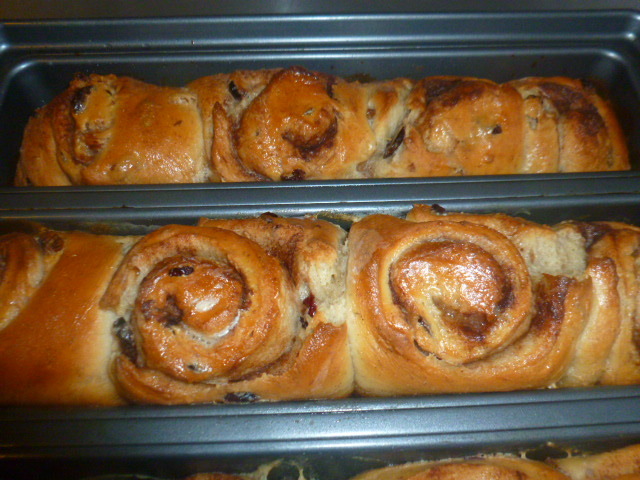 Though I ended up slicing the cakes (to make them more suitable for serving in a brunch buffet), you can also choose to serve them as sweet buns instead. The slices are also perfect for breakfast, when served toasted with butter, or for preparing an exceptionally delicious French toast. 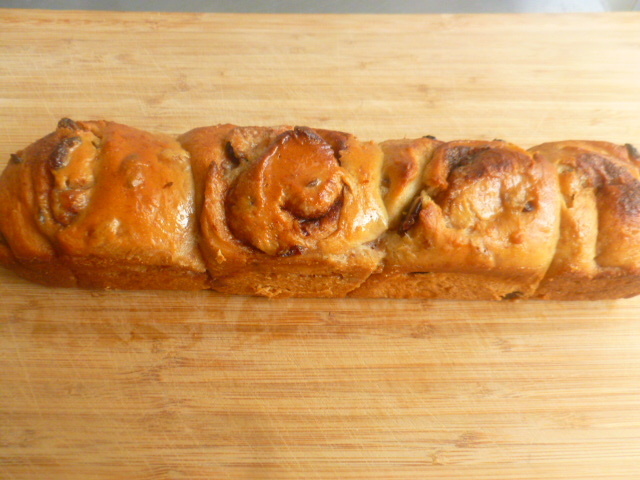 Another very tasty option is to use them in bread pudding. Either way you’ll choose, I’m sure you’ll enjoy these tasty cakes. 1. 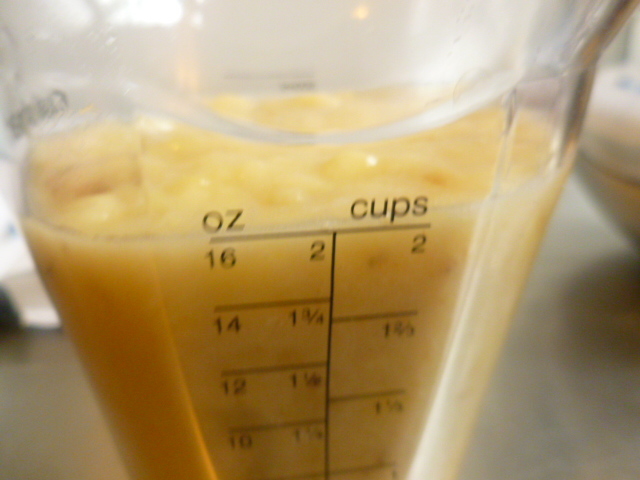 Mash the bananas with a potato masher and measure 2 cups. 2. 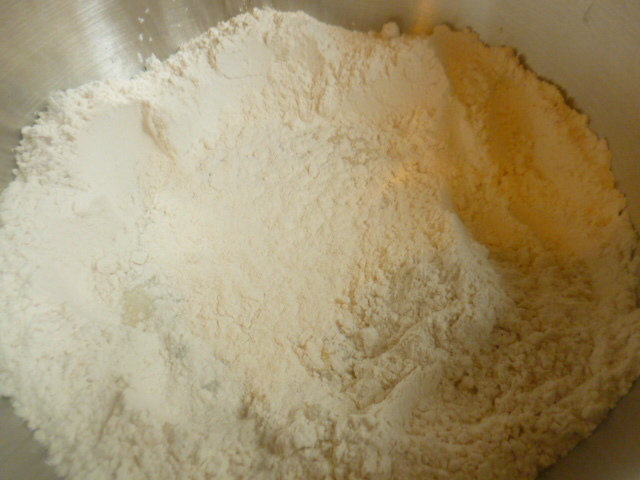 Place 4 cups flour in the mixer bowl and create a well in it. Add the sugar and warm milk into it and sprinkle the yeast on top. Sprinkle a bit of flour on top and let stand at room temperature until the yeast starts to foam, about 5 minutes. 3. 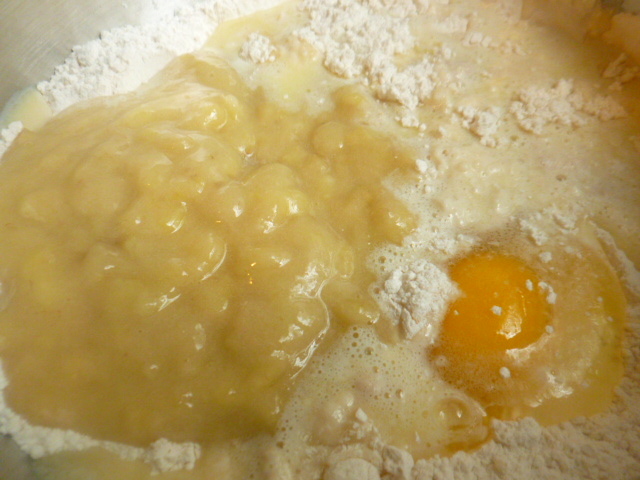 Add the butter, egg and mashed bananas. 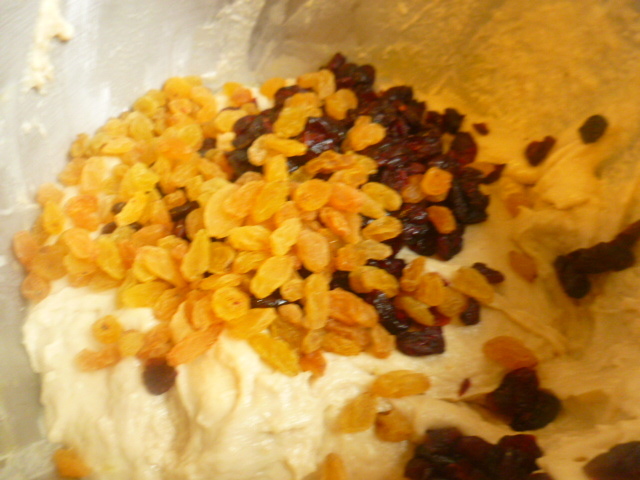 Attach the kneading hook and start mixing on slow speed, stopping and scraping the bowl occasionally. 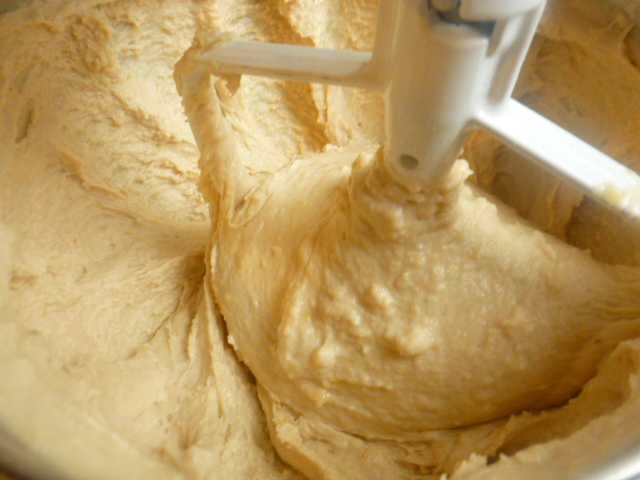 Increase the speed to medium and knead for about 5-7 minutes, until elastic and smooth dough is formed. (The dough will be very soft.) 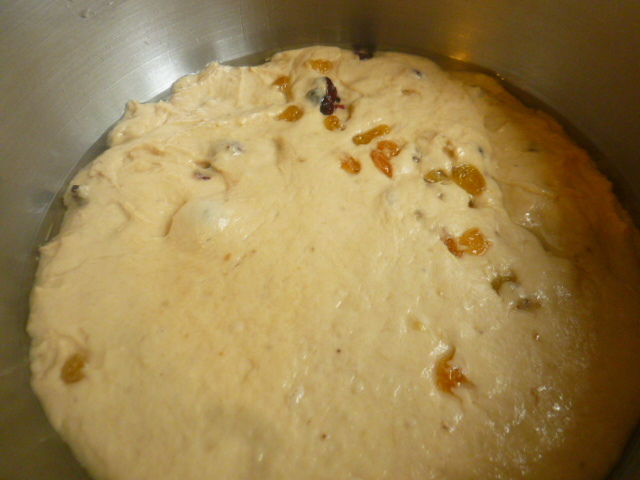 Add the raisins and dried cranberries and mix. 4. 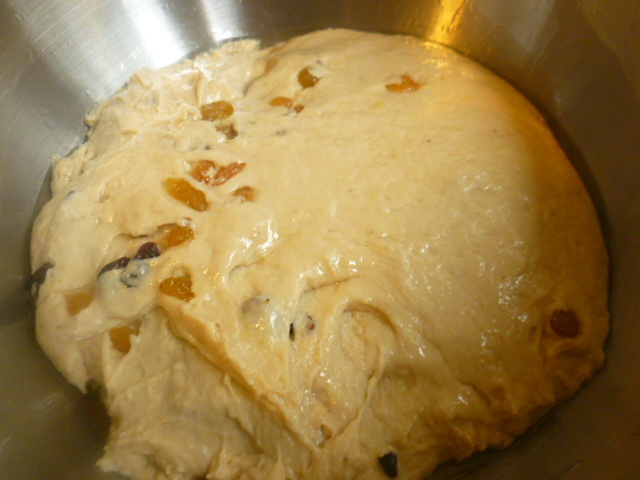 Oil a large bowl, add the dough and roll it in, to coat with oil. Cover with plastic wrap and leave in a warm place (inside the oven always works for me) for 2-3 hours, until the dough doubles in size. 5. 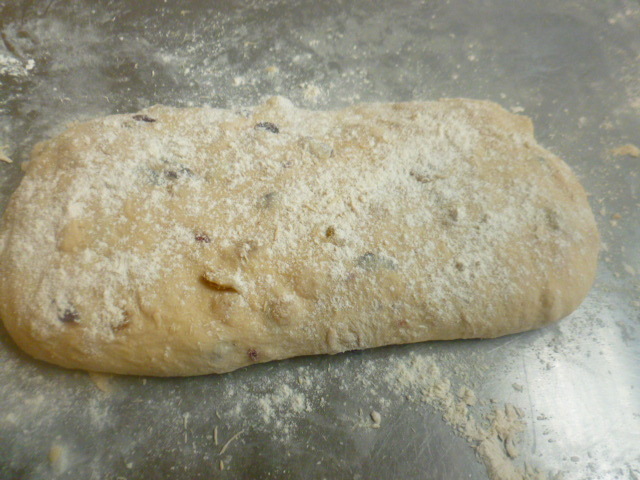 Punch down the dough, add 1 cup of flour and knead a bit by hand. 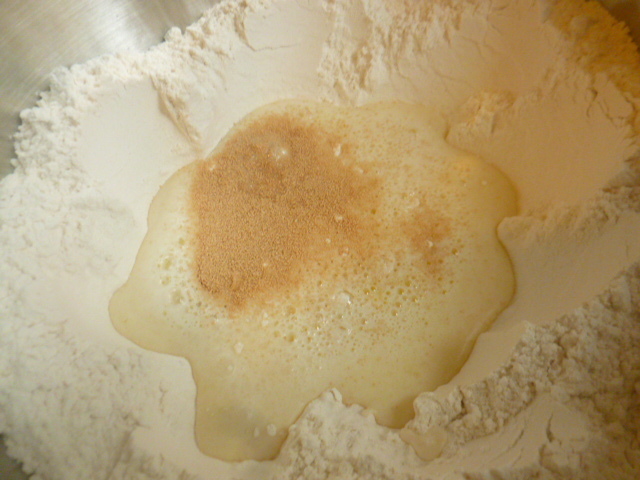 The dough will be quite sticky, but if it is too sticky to handle, add up to 1 more cup of flour. 6. 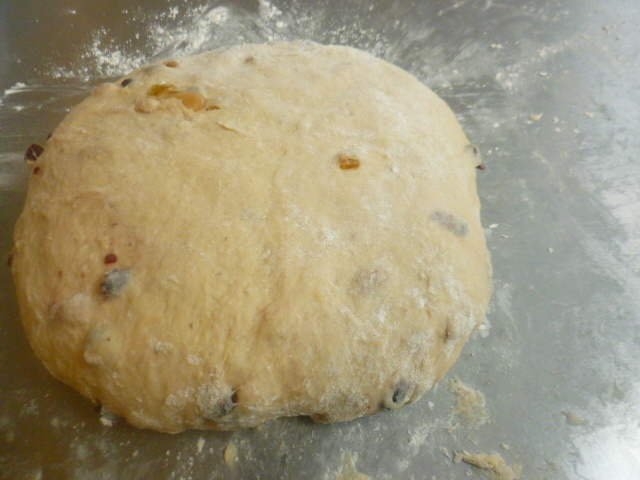 On a lightly floured work surface, roll the dough into a large rectangle, about 36″x 10″ (90cm x 25cm). 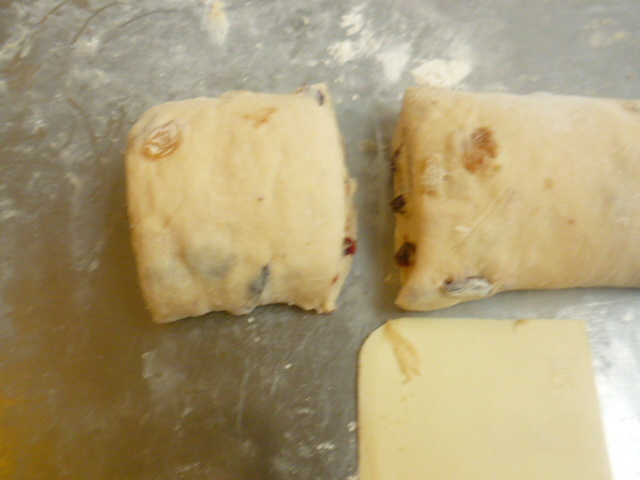 (If your work surface is not big, you can divide the dough into 2-3 portions and roll each one separately). 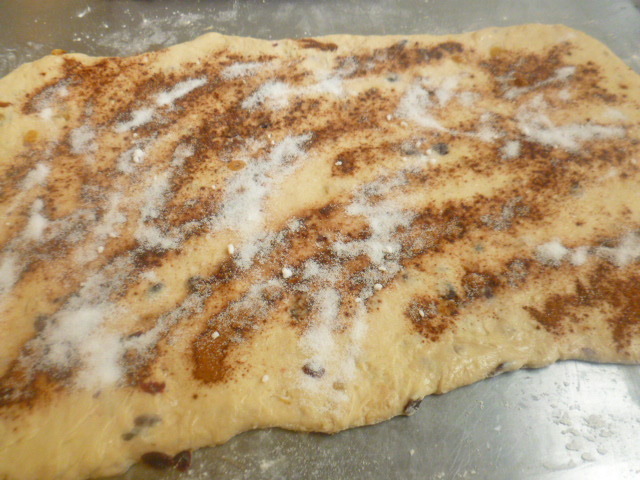 Brush with melted butter and sprinkle the sugar and cinnamon on top. 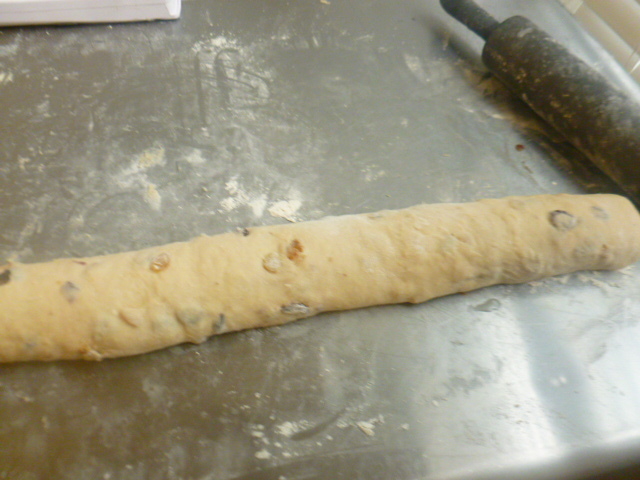 Roll into a long roulade and cut it into 12 pieces, about 3” (7.5cm) each. Place the pieces, cut side up, side by side in a pan brushed with soft butter. 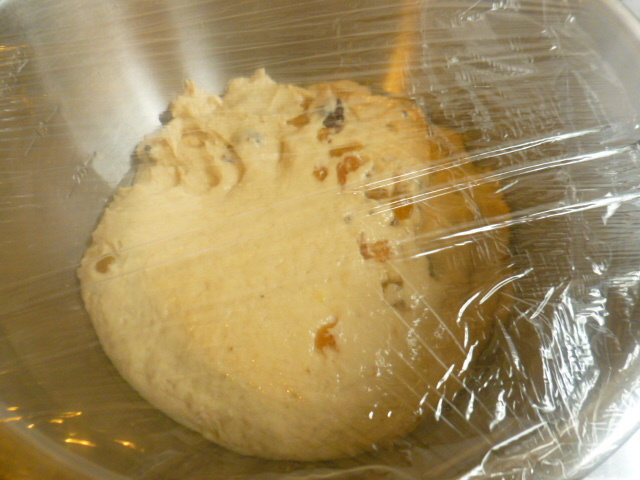 Cover with plastic wrap and keep in a warm place for about 1½ hours, until the dough rises up to the pan edges. 7. Preheat the oven to 365F (185C) and bake for 30 minutes. While baking, mix the milk, sugar and vanilla in a pot. Bring to the boil, lower the heat to medium and cook for 2-3 minutes. After about 25 minutes, when the cakes are almost done, carefully brush them with the warm syrup. Place back in the oven and bake for about 5 minutes longer, until the cakes are golden-brown. Keep in the pan for 5 minutes before carefully transferring the cakes to a rack to cool. This looks fantastic. I think I can easily adjust to to the bread machine, though. Thank you, Ronit, for a great idea! I’ll try and report back to you. I think I’ll also put some cocoa powder into the filling. In this house, chocolate goes into everything! Cinnamon and chocolate are friends! True, but I haven’t figured out a way yet of making Chili con Carne minus chili – too spicy for us. Looks yummy! Glad it worked in the yeast dough! Wow! Looks great. Thank you for sharing. Absolutely a stunning recipe! Thanks for the share Ronit. 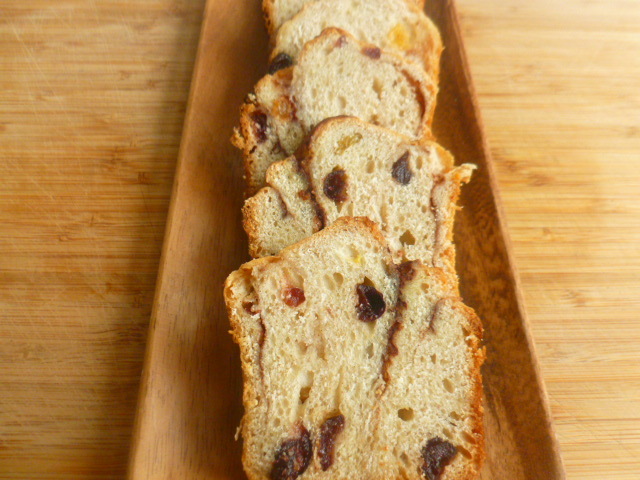 This looks great and it seems like a great alternative to banana bread when needing to use up bananas. What a fabulous recipe. 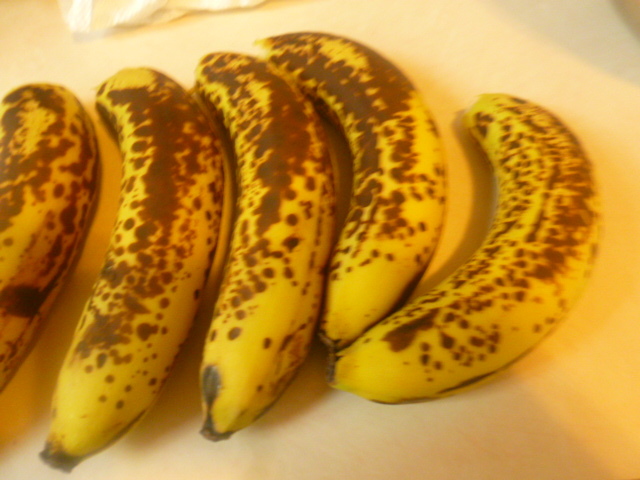 Overripe bananas can usually be found lurking in my fruit bowl. A delicious way to use them. Thanks Ronit! This recipe looks wonderful, and a nice change from the banana quick bread that I occasionally make when I have over-ripe bananas. It’s not fair to read this post when I am hungry and would love a slice instead of my yogurt and fresh fruit. Bananas are a favorite fruit for muffins, breads, pound cakes – you name it. There are always some on my counter or in my freezer. This looks so good… I think I am going to have to give this a try! wow, I have to try it! this looks perfectly done!! 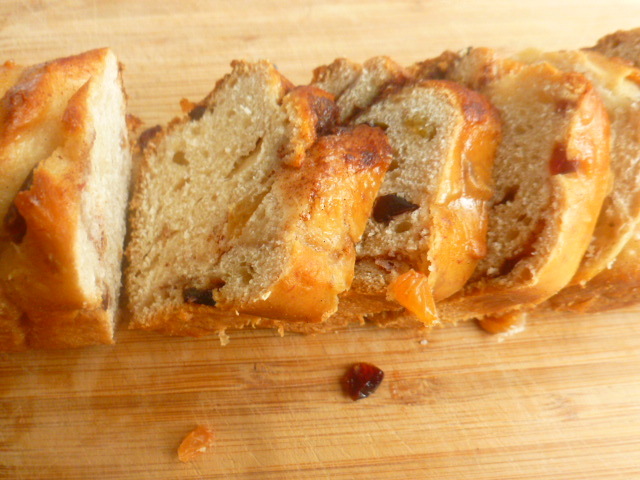 Lovely looking cake / bread / deliciousness. These are just gorgeous!! 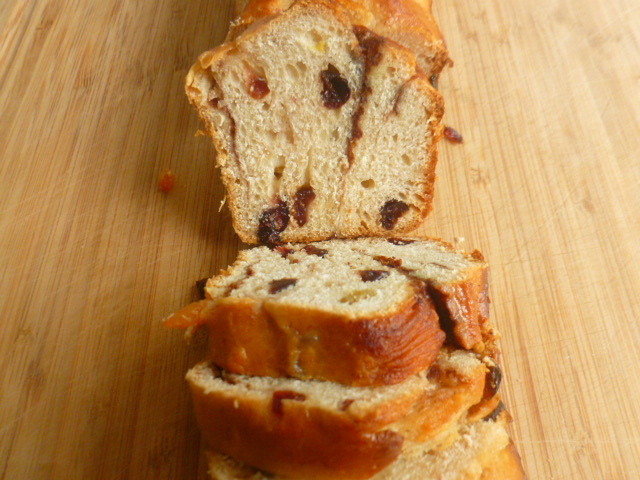 I’ve never thought of bananas in anything but a sweet bread! Lovely. Lovely way to use up ripen bananas. 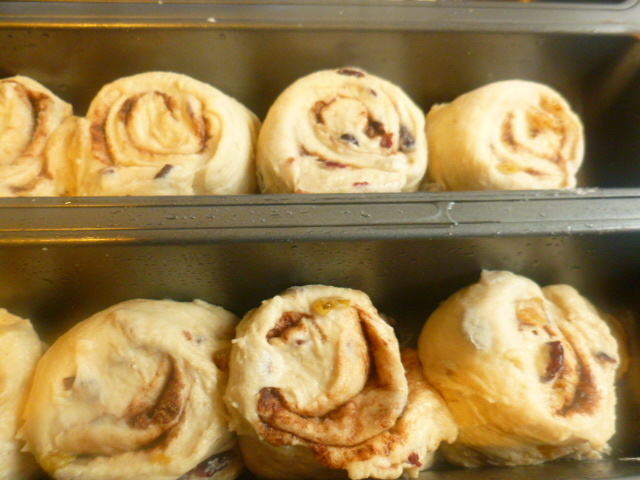 I have never used them in a risen bread…. this looks very tempting! 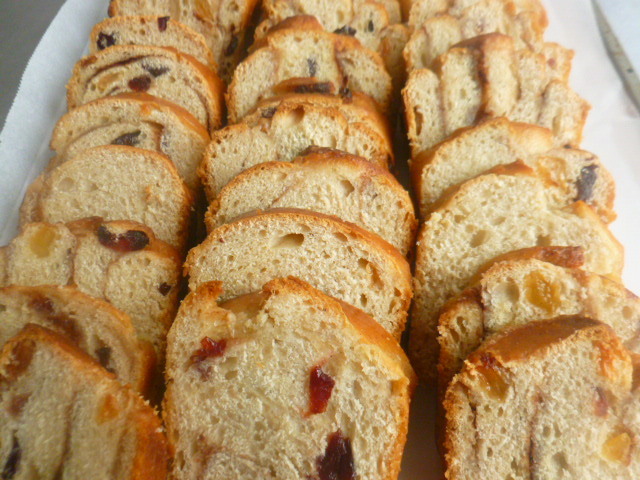 Raisins, cranberries and bananas…what a nice combination in your little cakes, they sound great. Thank you Jyoti, for nominating me. It is much appreciated. I’m sorry that for lack of time I cannot participate in the award scene. I love this recipe! The banana flavour of this cakes is adorable, I am definitely recommending this cake! 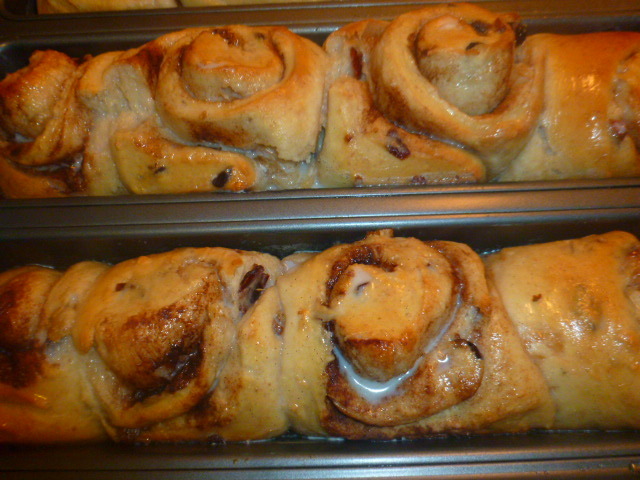 OMG, these look so delicious Ronit, I cannot stop drooling. Thank you also for the award nomination. I highly appreciate it and I’m sorry that, due to lack of time ,I can’t participate in the award scene.